This was the 17th annual bonspiel and as usual the North West Castle Hotel were excellent hosts for the event. The raffle raised £343 for club funds. The prizes were presented by Carolyn Hibberd. 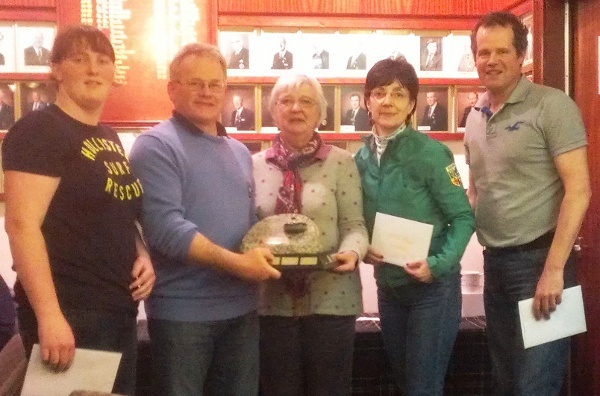 High road winners of the Granite Trophy – PJ Wilson, Louise Kerr, Richard Stevenson, Anne Wilson / Katie Wright. Prizes – 4 x £25 McMillan Hotels Voucher. 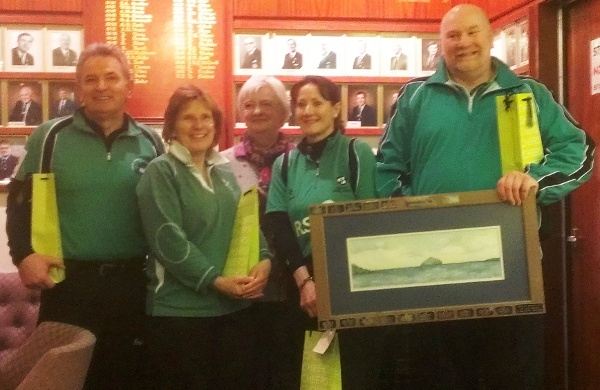 High Road runners-up for the Ailsa Craig Painting – Johnjo Kenny, Charlotte Tierney, tony Tierney , Gillian Russell. Prizes – 4 x bottle champagne. 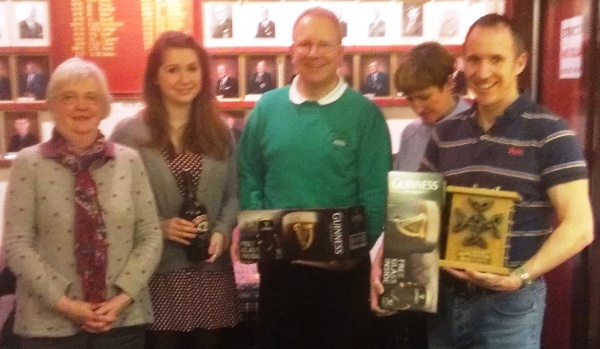 Low road winners of the Oak Trophy – Neil Fyfe, Kate Adams, Alistair Fyfe, Alison Fyfe. Prizes – 2 x cases Guinness, 2 x bottles Baileys. 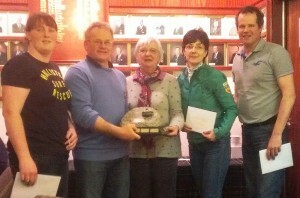 Low road runners-up of the Quaich Trophy – George Manson, Ian Paxton, Pam Paxton, Janice Manson. Prizes – 4 x ‘I’d rather be curling / drinking wine mugs and a chocolate orange. 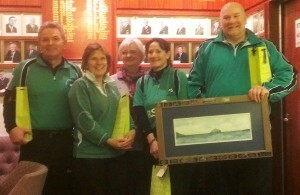 Consolation prizes of the ‘101 Curling Excuses’ book went to Carolyn Hibberd, Ian Donald, Frances Donald and Jim Nixon. This entry was posted in Event Report and tagged Stranraer by ICA admin. Bookmark the permalink.